The Congress on 25 October said that it would move the High Court against the Criminal Laws (Rajasthan Amendment) Ordinance, since it was illegal and unconstitutional and further demanded a full withdrawal of the ordinance. "The Congress will move the High Court. We are certainly planning to go to the court and challenge this ordinance since it is illegal and unconstitutional. There is no reason after such opposition or criticism of a black bill or ordinance which is dictatorial, gagging the media, giving corruption a legal framework of protection. 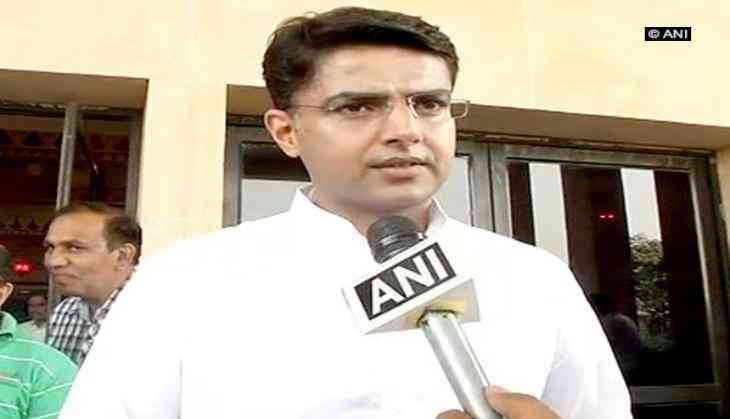 We want a full withdrawal of the ordinance as there is no point in sending it to select committee," Congress leader Sachin Pilot told ANI. The Congress leader further stated that the Bharatiya Janata Party (BJP) and Rajasthan Chief Minister Vasundhra Raje are indulging in face saving, adding the chief minister must disclose that under what compulsions, she was trying to protect corrupt individuals. "I think the BJP Government and Vasundhara Raje are indulging in face saving. The Chief Minister must disclose that under what compulsions she was trying to protect corrupt individuals. They should withdraw the bill and apologise to the people of Rajasthan," he added. Pilot had, a day before too, said that the Congress would never allow the passage of the Criminal Laws (Rajasthan Amendment) Ordinance. The ordinance also sought to bar the media from reporting on accusations against judges and bureaucrats till the sanction to proceed with the probe is obtained. The ordinance is an amendment to the Code of Criminal Procedure, 1973.